A scene from the fatal, multi-vehicle crash on Mandela Highway on Sunday. 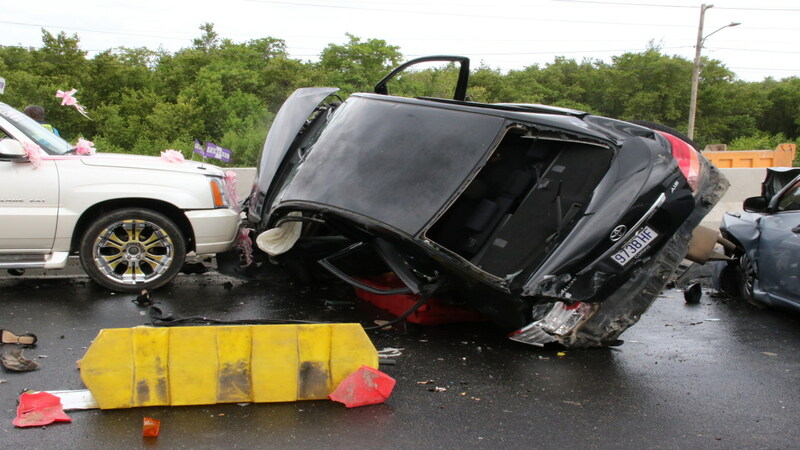 The police have re-issued a call for motorists to exercise caution when travelling on Mandela Highway, the major thoroughfare where within the past three days, a significant number of persons were injured - one fatally - in two multiple-vehicle collisions involving a total of 13 units. The latest crash on the busy roadway which is under reconstruction and expansion from four to six lanes, took place on Sunday, claiming the life of a female and leaving at least six other persons nursing serious injuries. Indications are that five vehicles, including a hearse with a trailer wagon (chariot) behind it; a garbage truck and three cars, were involved in the crash. 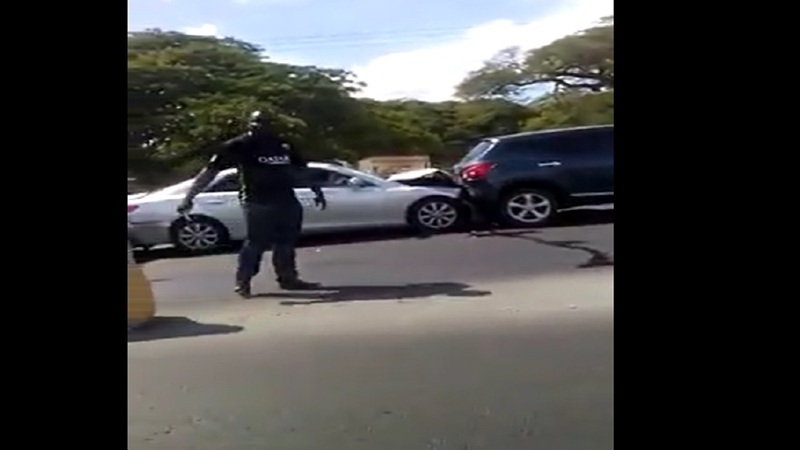 The bang-up occurred near the overhead bridge on the St Andrew side of the highway, and the result of it is captured on video as can be seen below. The vehicles involved were mainly travelling east-bound into Kingston, but some crashed through the plastic barriers separating east and west-bound traffic, and ended up on the other side of the now makeshift thoroughfare. “Over the past three days we have had two multiple-vehicle crashes, one was an eight vehicle collision on Friday, and the other was a five-vehicle collision,” said a senior officer from the Ferry Police Station. “In the crash on Friday, 10 people were injured, but there was no reported fatality on that occasion. But in the one today (Sunday), a female lost her life and a number of other persons are (now) in hospital,” outlined the officer. 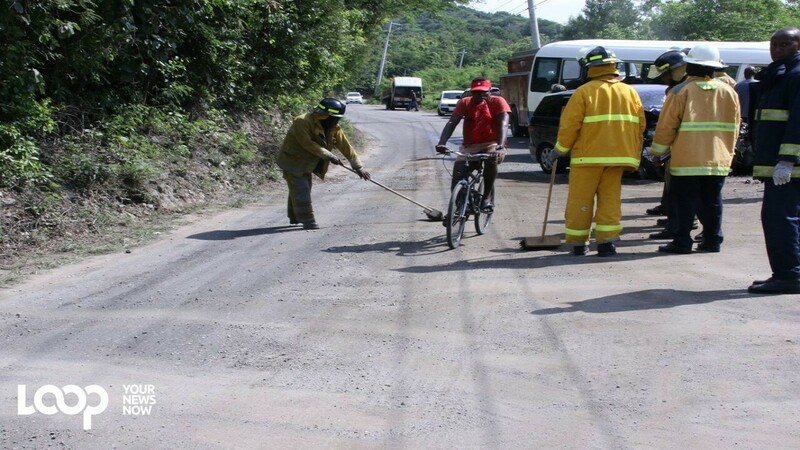 “We are seeing too many cases of motorists driving at top speed, and with the road under repair, the space to drive has been reduced, so we are calling on motorists to exercise caution,” urged the lawman.